Nashville, Tenn. (May 19, 2015) — More than 200,000 people attended GRAMMY®-winner Chris Tomlin’s “Love Ran Red Tour” this spring, making history as the biggest tour of his career to date. Hitting 36 cities and selling out venues in Chicago, Seattle, Phoenix, Dallas and more, the tour saw an overwhelming response. But fans did more than just show up – they gave over $700K to CURE International, an organization with which Tomlin partnered for the “Love Ran Red Tour.” The donations will help fund 700 life-changing surgeries for children with disabilities. Tomlin’s “Love Ran Red” Tour partnered with CURE International to benefit disabled children. Tomlin recently announced Worship Night in America, which will bring people across the country together for a time of worship and prayer for the nation. Events will take place Aug. 8 in New York City’s Madison Square Garden, Aug. 13 in Denver’s Red Rocks Amphitheater and Aug. 15 in Sacramento’s Sleep Train Arena. With ten albums, 13 No. 1 radio singles, a GRAMMY® Award and eight additional nominations, three Billboard Music Awards, 21 Dove Awards, a platinum and four gold albums to his credit, Chris Tomlin is among the most well-known and influential artists in contemporary Christian music. Referred to by TIME Magazine as “most likely the most often sung artist anywhere,” Tomlin also has 15 of the Top 100 CCLI songs, with four of them being in the top 10. BMI and GMA Dove Awards’ 2014 Songwriter of the Year, Tomlin’s “How Great Is Our God” was his first No. 1 on the CCLI Top 25, moving to No. 1 after becoming one of the fasting rising modern day hymns in CCLI chart history. In addition to having sold more than 7 million albums and over 8.9 million digital tracks, Tomlin made history as his single “Jesus Messiah” (Hello Love) garnered 97 adds at radio its first week and skyrocketed to No. 1, making it the biggest ever add date in Christian radio history. In the midst of his record-breaking success, and continuing his role as worship leader at Passion City Church in Atlanta, GA, Tomlin continues touring and leading at Passion Conference gatherings across the US and worldwide. Burning Lights debuted at No. 1 atop the Billboard 200 in January 2013, making history as only the fourth Christian music album to do so, and his tenth recording, Love Ran Red is available now. May 19, 2015 (Nashville, Tenn.) – Popular CCM band The Katinas releases “Alive,” the second single from the group’s current CD, Sunday Set, to AC and CHR-formatted Christian radio stations today. The Dove-award winning five-man band adds its unique vocals to the new arrangement of this popular worship song, written by Aodhan King and Alexander Pappas. The release of “Alive” follows the debut single, “10,000 Reasons,” which played on more than 200 radio outlets and hit No. 1 on CRC Weekly (ChristianRadioChart.com) and No. 1 on CRC Monthly. A video for “10,000 Reasons” is available at YouTube at https://youtu.be/NVw4swBmQRs. NASHVILLE, Tenn. (May 19, 2015) – “Spoken For,” the latest retail single from Eva Kroon Pike, reveals a fresh side of the singer/songwriter and multi-instrumentalist that her previous releases have only hinted at. Available now via digital download from such online stores as iTunes and Amazon.com, “Spoken For” boasts a distinctly pop vibe that reflects another side of her personality, style and sound. While longtime fans of her music will easily recognize her distinctive vocals and unmistakable musical fingerprints on the song, they might be a bit surprised by the artist’s new moniker, Eva K.
“Spoken For,” the new retail single, is a bouncy, joyous, roll-down-the-windows and crank-up-the-volume pop anthem that showcases Eva K’s captivating vocals. She credits producer Conrad Johnson with providing just the right balance of shimmering pop instrumentation with a hint of rock ‘n’ roll to undergird the song’s encouraging message of hope and redemption. “Spoken For” is available now for digital download. For more information about “Spoken For” or Eva K, visit evaksings.com. 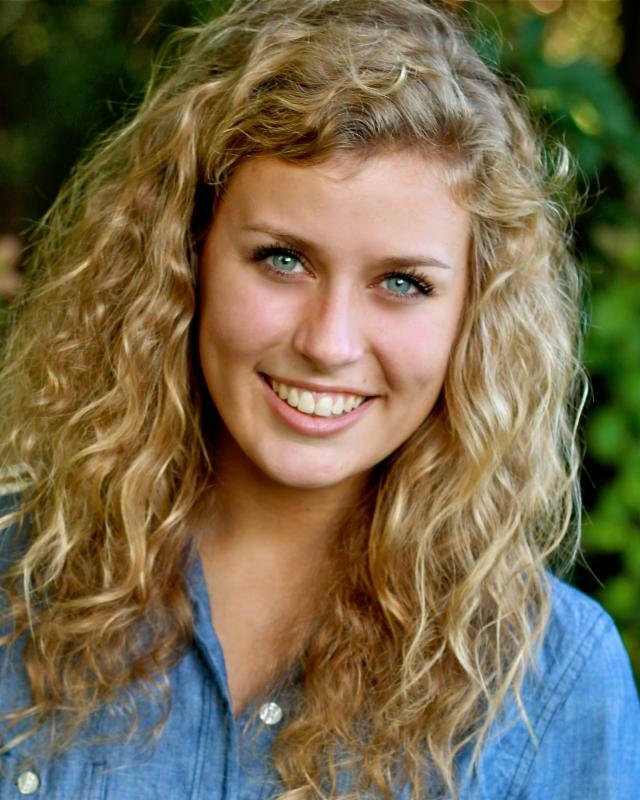 “Music is my passion,” says Eva K, who has been singing since age 3 and also plays the guitar and piano. During her career, she has performed in front of thousands of people and has shared the stage with the likes of Anne Graham Lotz, Mark Harris, Babbie Mason, Third Day and Tenth Avenue North. Eva K’s current video, “Grace That Chose Me,” has aired at UP TV (formerly Gospel Music Channel) and has been featured at various events, including the Florida Baptist Convention. Eva K, who has experienced firsthand the blessings of being adopted into a loving Christian home, is an outspoken advocate for adoption. She has partnered with the Florida Baptist Children’s Home, a Christ-centered organization that provides services for abused, neglected, and orphaned children, where she helps to promote the organization’s adoption and other ministry services to hurting children and families. Eva and her husband, Jonny, live in Central Florida with their two young sons. For more information about Eva K and Love is All About You, visit evaksings.com. NEW SMYRNA BEACH, Fla. (May 19, 2015) – Willow Sprague, daughter of beloved multi-Dove Award winning recording artist and worship leader Billy Sprague, is set to release her very first radio single, “Overflow.” The second single from Billy Sprague’s latest musical project, Songs in the Key of Awe, “Overflow” goes for adds today through A-Sides Radio Promotion. Willow illuminates this tender, vertically-directed prayer for anointing with her fresh and inviting alto voice, making it keenly personal, yet open and inviting. With its lilting cadence and wistful lyrics, “Overflow” is equal parts intimate prayer and corporate worship. 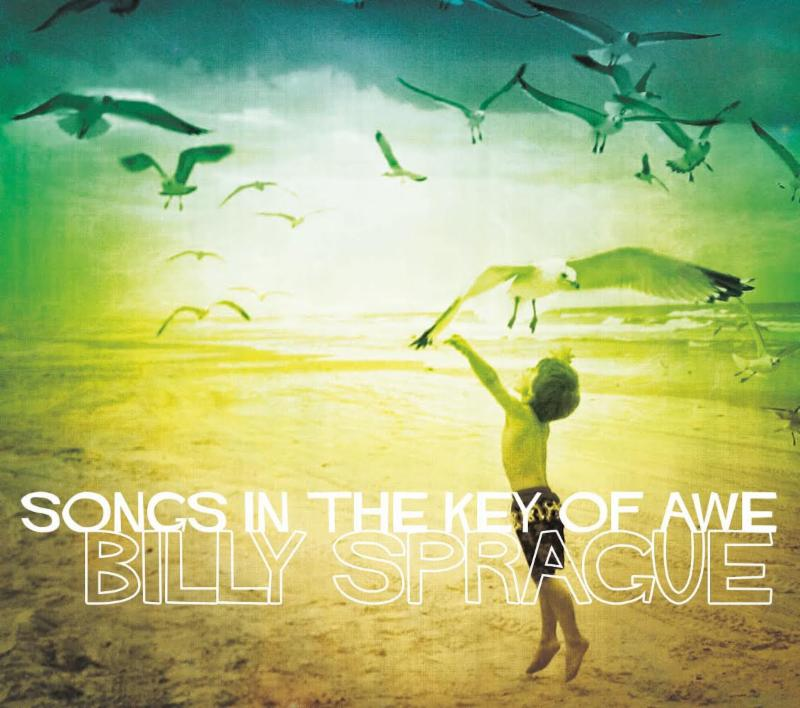 “Overflow” is available on Billy Sprague’s CD, Songs in the Key of Awe, which is distributed by Elevate Entertainment. 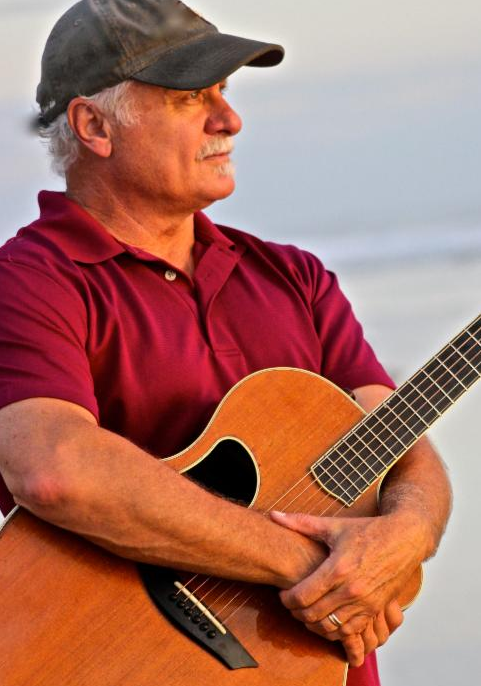 For more information about Willow Sprague, “Overflow,” Billy Sprague and Songs in the Key of Awe, visit billyspraguemusic.com. At just 17, Willow Sprague has been around music and music makers her entire life. 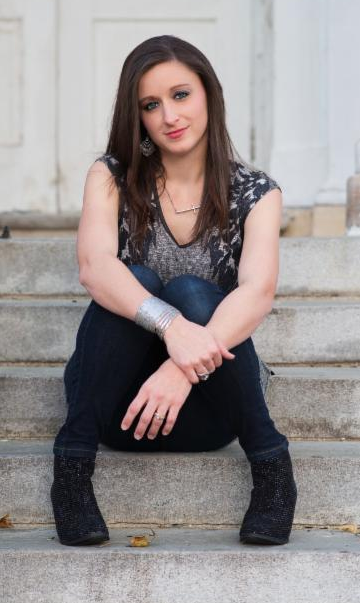 The daughter of Dove Award winning songwriter and recording artist Billy Sprague, she has had a front row seat on the music life, how songs are written and recorded and the art of live performance. At age 11, she formed the vocal group Harmony Park with three friends in Denver. Together they performed hymns and pop songs and even sang the national anthem for NBA fans at several Denver Nuggets basketball games. The talented pre-teens caught the attention of America’s Got Talent, which flew them to Atlanta to perform on the popular TV show, and two years later they brought 5,000 people to their feet in front of the X-Factor judges in Kansas City. Willow’s captivating voice adds harmonies and background vocals to many of the songs on Songs in the Key of Awe, her dad’s recently released worship project. She adds background vocals to many of the songs on the CD and shines on lead vocal on two titles: “Overflow,” her first CCM radio single, and “Only Jesus” a modern, Celtic-like hymn. Willow lives with her parents, her two younger brothers, Wyatt and Sawyer and their dog she named, Lucy Loo Hoo, in New Smyrna Beach, Florida. Currently serving as Worship Leader at Edgewater Alliance Church in Edgewater, Florida, Sprague balances family life with worship leading, speaking, writing and retreats. He currently lives in New Smyrna Beach, Florida. with his wife, Kellie, and their three children, Willow, Wyatt and Sawyer, and their dog, Lucy Loo Hoo. A true family affair from start to finish, Songs in the Key of Awe not only features vocals by Sprague’s daughter Willow, but also showcases his son Wyatt on djembe, as well as photography by his wife Kellie and joyful encouragement from their young son Sawyer. In addition to family members, Sprague tapped the formidable talents of guitar virtuosos Phil Keaggy, Dave Beegle and Dan Dugmore along with respected Nashville producer Jim Frazier to create an unforgettable listening experience. (NASHVILLE, Tennessee) — Four decades after first topping album charts worldwide, Pastor Jason Alvarez is back with his brand new solo album, Time For Miracles. The album is available now at Amazon, iTunes and wherever digital music is sold. The music industry first came to know Jason Alvarez (who briefly went by his birth name Jesus) as the husky voiced singer of R&B act Brother to Brother (whose In the Bottle moved over a million copies in 1974), followed by his partnership with singer/songwriter Sylvia Robinson in the groundbreaking group Shirley & Company, who topped the worldwide dance charts with the #1 international hit Shame Shame Shame in 1975. That song is commonly considered the early blueprint for the disco explosion that dominated the decade. With the fame, wealth and pressures of being a superstar came an addiction to drugs that nearly cost Alvarez his life. He recalls sitting on the top floor of a swanky London hotel with fellow songwriter Scott English, whose Barry Manilow hit Mandy was sitting at #2 as Alvarez Shame Shame Shame claimed the top spot. Ordained in 1982, Alvarez currently serves as the pastor of The Love of Jesus Family Church in Orange, New Jersey. While he remains committed to his primary responsibility as a pastor, hes also committed to taking Time For Miracles to the masses. Best described as a praise and worship album, Time For Miracles will surprise listeners with its versatility, ranging from acoustic anthems to Gospel grooves. Theres even a guest appearance by fellow church member Kory-O of Sugar Hill Gang fame (the groups Rappers Delight scored the rap genres first ever Top 40 hit on Billboard Hot 100). For more information, visit the official website at www.jamm.org. Needham describes The Story as the Gospel in five minutes. New Orleans, La. (May 15, 2015)—– When God’s Not Dead became the most successful Christian film of all time in 2014, the movie’s producer, Troy Duhon, set out to launch the same concept theme with The Millennial Tour 2015. The national tour is currently scheduled to visit 14 cities across the country during the summer, with the first date taking place May 15th at New Orleans’ Saenger Theatre where three of the tour’s ten artists will open for for KING & COUNTRY. The summer tour dates include several major festival performances, including all five Creation Festivals, Lifest and AliveFest, among many others. The Fall segment of The Millennial Tour 2015 will visit 25 cities in 13 states, and an announcement with all details will be made later this summer. The tour features Christian artists from the Millennial Generation, with the full roster including: Billboard-charting Pop-Dance artist and actress, Abigail Duhon; winner of 2015 We Love Christian Music Awards (Next Big Thing category) and Billboard charting Pop/R&B artist and actor, Spencer Kane; 2015 Stellar Award nominee and Billboard charting Gospel R&B artist, Jor’Dan Armstrong; CCM/Worship artist, Jamison Strain; GRAMMY®-nominated Hip Hop artist, Tru Serva; Pop/Rock sister duo, LoveCollide; Urban/Hip Hop recording artist, JG; Pop/R&B artist, Dawna; New Pop/R&B Group, Outcast Republic; and Christian Urban artist, Johnnie Rep.
Also featured via video throughout the event will be Dr. Rice Broocks, author of the book God’s Not Dead, who will share four key foundational teachings about apologetics (defending Christianity), as well as the Director of The Human Right, Heath Adamson. God’s Not Dead created a national stir, among atheists and Christians alike, when the film’s direct approach to the question of an omnipotent God as creator of all things was based on real-life college situations facing Christian students. The film used several references from Broocks’ book of the same title. Set in a classroom at a university, the movie revealed the difficulties Christians face with defending their belief in God and the Bible in the midst of an education system and society that explains away God in lieu of science. The highly-anticipated sequel to God’s Not Dead is expected to release Spring 2016, marking the big screen debut of many of the artists appearing on The Millennial Tour 2015. Fans who attend the Fall tour will get a first look at the trailer for the upcoming film. Centered around a group of high school students, the movie explores the historical debate of Jesus’ existence in human form on earth. Nashville, Tenn. (May 14, 2015) — Multi-platinum, chart-topping pop Christian trailblazer Owl City will release his forthcoming fifth full-length album, Mobile Orchestra [Republic Records/Capitol CMG,] on Friday, July 10. This is the first new standard global music industry release date, aligning album releases worldwide to Fridays. Pre-order now and unlock a download of the first single “Verge (feat. Aloe Blacc).” Shortly after the album pre-order went live today, the album shot straight to No. 1 on the iTunes Pop Albums Chart. The lyric video for “Verge (feat. Aloe Blacc)” premieres today on Vevo. Check it out here. “Verge (feat. Aloe Blacc)” combines Owl City’s sweeping vocals and boisterous, bouncy production with Aloe Blacc’s strikingly smooth signature croon. Fusing pop, electronic, alternative and R&B, it’s the perfect start for the latest musical adventure from multi-instrumentalist, singer, songwriter, and producer Adam Young—aka Owl City. With humble small town beginnings in Owatonna, MN, Owl City remains an avant garde hitmaker in his own right. With total album sales over 2.5 million and single sales surpassing 18 million globally, his smash “Fireflies” from 2009’s Ocean Eyes received a five-times RIAA platinum certification in addition to going No. 1 in 26 countries. “Good Time” featuring Carly Rae Jepsen went Top 4 in the U.S. and racked up sales of close to three million while “You’re Not Alone” featuring Britt Nicole hit No. 1 on the Christian Hot AC/CHR chart. He composed the theme song for filmmaker Zack Snyder’s Legend of the Guardians: The Owls of Ga’Hoole and an original tune for Disney’s Academy Award winner Wreck-It Ralph, while Owl City’s music has seen placements everywhere from The Croods and Veggietales to Smurfs 2. Owl City’s fifth studio album, Mobile Orchestra is set to release Friday, July 10, the first global release date. Nashville, Tenn. (May 13, 2015) —– Blanca has quickly become a standout solo artist with her first project on Word Label Group. Blanca released last week and entered Top 10 on Billboard’s Christian Albums chart, while the debut single, “Who I Am,” reached No. 1 on Billboard’s Christian Hot AC/CHR chart. Co-written by Blanca, Australian songwriter Mia Fieldes and Grammy award-winning Seth Mosley, “Who I Am” is a biographical sketch of who Blanca has become during this new chapter of her life and career since leaving Group 1 Crew. I’m running to the One who knows me/Who made every part of me in His hands/I’m holding to the One who holds me/‘Cause I know whose I am, I know who I am. The song immediately resonated with fans and became the fastest rising debut single from a new artist. The live performance video for the song was filmed in front of 15,000 fans at Winter Jam Spectacular 2015 in January and can be viewed here: http://smarturl.it/whoiamofficial. Blanca is featuring her new music on Jam The Hype TV for two weeks in a row. Last week, she became the first Artist Spotlight to be featured on the website, with early premieres for three songs from Blanca, “Different Drum, “Echo,” and “Not Backing Down.” This week, the powerhouse vocalist will be featured on Inside The Music EPK and it can be viewed at www.jamthehype.com. Blanca is currently on Building 429’s spring tour that runs through May 16th. For more updates about Blanca please visit online, www.officialblanca.com, www.facebook.com/OfficialBlanca, www.twitter.com/TheRealBlanca. NASHVILLE, Tenn. (May 13, 2015) – Dove Award-winning singer/songwriter and speaker Cheri Keaggy provided music during the recently concluded Wit & Wisdom Cruise. The seven-day voyage to the Virgin Islands also featured New York Times best-selling author Dr. Kevin Leman (The Birth Order Book, Have a New Kid by Friday), international speaker and author Dr. Luis Palau and comedian Dennis Swanberg. Keaggy impressed the cruise producers so much that they have already invited her back for next year’s voyage. Voyagers not only enjoyed stops at picturesque ports of call like St. Maarten, St. Thomas and Princess Cays, but also had the opportunity to participate in teaching sessions by Leman and Palau, and were entertained by Keaggy and Swanberg. 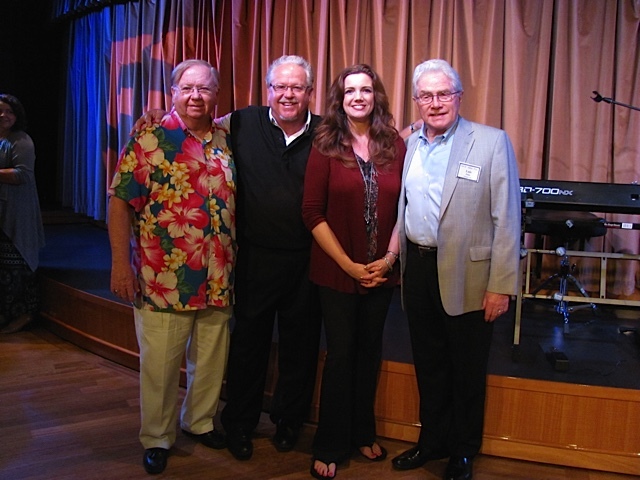 Plans are already underway for the 2016 Wit & Wisdom Cruise, which will include featured speakers Dr. Kevin Leman and Dr. Tim Kimmel, comedian Dennis Swanberg, and musical guest Cheri Keaggy. The 7-night cruise departs from Ft Lauderdale, Florida on February 21 and will visit Grand Turk, San Juan, St. Maarten and Half Moon Cay. For for more information about the cruise, visit templetontours.com/wit_n_wisdom_cruise/index.shtml.